Last month, techno DJ Richie Hawtin — who came to fame in the 1990s under the alias Plastikman — threw a party at The Hangar, a cavernous sake den in Tokyo’s hipster Nakameguro neighborhood. A brown sugidama (cedar ball) hung from the ceiling in the bar’s narrow basement floor, where a crowd of sake enthusiasts nibbled from caviar tins filled with carrot mousse topped with greenish-black tonburi (kochia) seeds and sipped glasses of Enter.Sake Aramasa, the latest brew in Hawtin’s portfolio, produced by Akita Prefecture’s Aramasa Shuzo Co., Ltd.
An avid fan of Japan’s national liquor for the past two decades, Hawtin became a sake impresario of sorts around five years ago, when he opened a lounge featuring the brew at Enter, a series of electronic music events he hosted on the island of Ibiza, Spain. 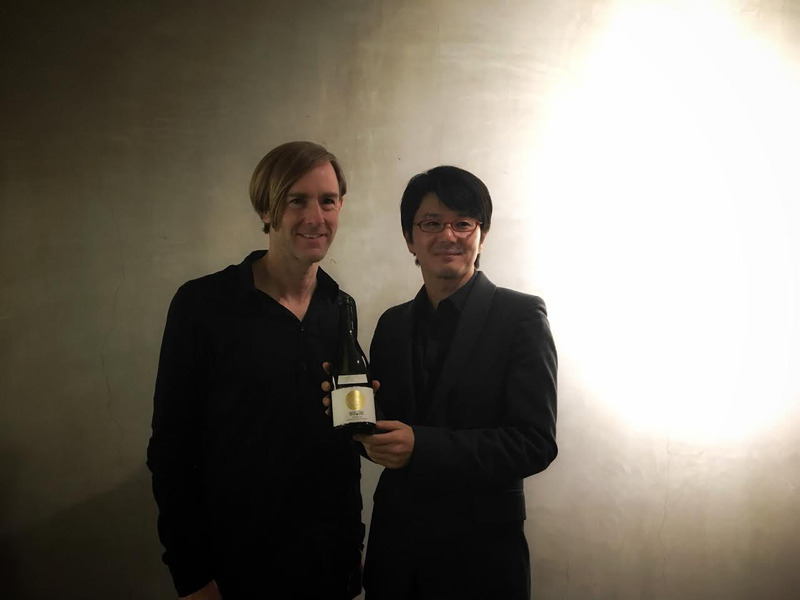 The idea, Hawtin says, was to “introduce sake to a new generation” and “represent it in a different way.” He began working with a handful of breweries to create a selection of private-label bottles adorned with Enter’s signature motif, a minimalist black dot. 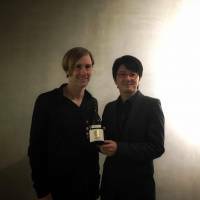 He currently collaborates with seven producers, and the sake is available in Japan, the U.S. and a few countries in Europe. With the Ibiza residency now dormant, Hawtin is focusing on expanding distribution, particularly at high-end restaurants. Sato has also made waves for re-introducing old-school techniques, such as wooden-barrel fermentation, which lends character to the final product but requires extra effort to keep the vessels clean. He uses a laborious and time-consuming method to produce the yeast starter (an essential mix of rice, water and koji — the mold responsible for breaking starch molecules into sugar), which converts sugar to alcohol. Called kimoto-zukuri, the process involves using a wooden tool to mash up the rice solids in the yeast starter until they have completely dissolved. It takes about four weeks and results in brews with higher acidity and greater complexity. While Sato seeks to preserve tradition, he also experiments with unconventional styles of sake, such as Aramasa’s Amaneko, made with a variety of koji normally used in the production of shōchū (a distilled Japanese spirit). The first time I tried it, a few years ago, the sake’s slightly sweet, wine-like character surprised me. “We’re taking a different approach that we hope appeals to younger drinkers,” Sato says. Enter.Sake Aramasa 2016 was made with Miyama Nishiki rice from Akita Prefecture, fermented in barrels made from 130-year-old hinoki (Japanese cypress) trees, and then aged briefly in oak casks. The brew has a zippy acidity with a faint trace of carbonation. Abundant tropical fruit flavors (pineapple, mango) give way to subtle, toffee-like sweetness and a rounded mouthfeel. The sake is on sale now, but quantity is limited — only three tanks were produced.